Celebrate the 4th in the North…Georgia that is! Nathan Fitts & Team are proud to be Americans and live in the land of the Free in the Home of the Brave. We have pulled together an Ultimate Guide to your Independence Day celebrations in North Georgia. 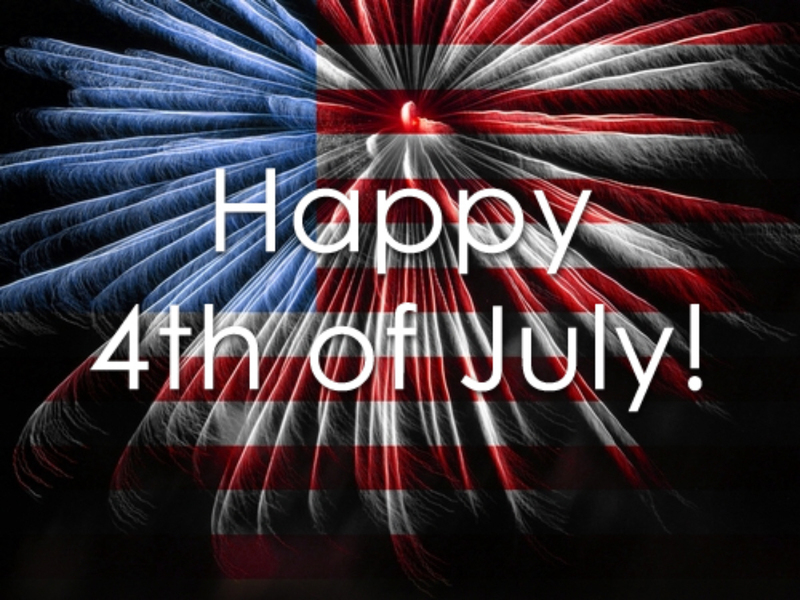 As you celebrate with picnics, parades, sparklers, friends, family, and fireworks, take a moment to give thanks to all the men and women that have fought to defend our freedom that we get to enjoy each and every day. God Bless America! The great folks at Lake Nottely Marina invite both spectators and boaters to join in the fun for the annual Boat Parade from 12pm-1: 30 PM. You can decorate in any theme and creativity is encouraged. Make sure to arrive early so you can secure your spot along the shoreline and at the Marina. At dusk on Wednesday, July 4th the skies in Blairsville will explode with color as the annual firework display begins in beautiful Meeks Park. Come early for a picnic in the park and enjoy hiking trails, two playgrounds, a creek to splash in, and a kinetic art sculpture throughout the park. Across the street, the First United Methodist Church will have music, BBQ, and children’s activities. Surrounded by the Chattahoochee National Forest, the small unincorporated town of Suches, just south of Blairsville, pulls out all the stops for your 4th of July celebrations. Sponsored by the Volunteer Fire Department in the Suches, the community invites everyone to gather at Woody Gap School as early as 5:30 pm. Prior to the fireworks display at dark, there will be hamburgers, hot dogs, ice cream and more for sale at the concession stand. The Gaddistown Homemakers will even be on hand for a fun rubber duck race! Independence Day at Vogel State Park provides summertime fun for the entire family. Georgia’s most beloved State Park begins the day with a special flag raising celebration at 8:30 am and family activities all day long. Enjoy a picnic overlooking Lake Trahlyta and work off your lunch with a walk down to Trahlyta Falls. Drop a line in Wolf Creek or pitch a tent and enjoy an evening under the stars. There will be a special concert by Wyatt Espalin at the Lake Pavilion from 8-9pm. Who doesn’t love a good fireworks show? Who doesn’t love a day on the lake? Get the best of both worlds on the last weekend in June on Lake Blue Ridge. Get a jump start on your Independence Day celebrations on Friday, June 29th at 8:30 pm with the annual Lake Blue Ridge Boat Parade. Decorate your boat and join in on the boat parade or secure a spot-on land to watch the festivities. On the evening of Saturday, June 30th a firework spectacular over Lake Blue Ridge will dazzle you from land or boat. Popular viewing locations include the Lake Blue Ridge Dam, Lake Blue Ridge Marina, Tammen Park, and Morganton Point Campground. Celebrate your American freedom with a big breath of mountain air and the feeling of accomplishment after you complete the 5k or 10k foot race. Downtown Blue Ridge welcomes racers decked out in red, white, and blue to enjoy the scenic race route and celebrate at the post-race party with a big glass of sweet tea or lemonade, music, watermelon, and more! This Independence Day enjoy a glorious day in Ellijay! The River Street Parking lot opens at 10 am with food, vendors, and live music. Dine on the Square and peruse the cute shops while you wait for the parade to roll through town at 6 pm. The day comes to a perfect conclusion with a firework display delighting both the young and young at heart. Fireworks not really your thing? Channel your inner Hans Solo or Princess Leia and enjoy an outdoor movie at the top of Amicalola Falls. The Original Star Wars movie will begin at 8:30 pm and concessions will be available. Brasstown Valley Resort pulls out all the stops this 4th of July! Beginning at 6:30 pm a Southern-style cookout will tickle your taste buds with classic favorites served up at the Sunset Pavilion. The children will enjoy getting their faces painted and jumping in a bounce castle. The rest of the family will enjoy playing horseshoes and participating in a pie eating contest! Yum! As the sun sets behind the mountains, the fireworks will explode in an amazing display. Spend the day where the lake meets the mountains on Lake Chatuge. The annual boat parade begins at 10:30 am and all participating boats must display an American flag, but additional decorations are encouraged. Delight in a magical firework display in the twin cities of McCaysville, Georgia and Copperhill, Tennessee. Excitement and patriotism will be evident throughout downtown regardless of the state line you view from. Families can enjoy a full-on street festival featuring live music, food, and vendors only to be made complete with a fair hosted by the First Baptist Church of McCaysville. Don’t fight for a parking space, just ride the Firecracker Express (Blue Ridge Scenic Railway) to and from downtown Blue Ridge to the twin cities.